A bright spot in the sweltering heat is that it’s harvest season.Â As you’ve seen here, I’ve been trying to make the most of it this year and the freezer is filling up fast…. 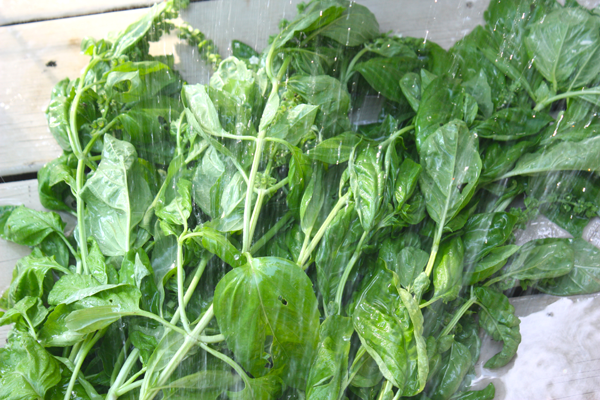 This was one of the many things I made with the basil harvest…since I prefer sage pesto, I like to use basil in other ways…..
I’ve started pre-washing out on the deck to get the critters off before coming inside…I don’t use insecticides so the basil gets pretty buggy…. 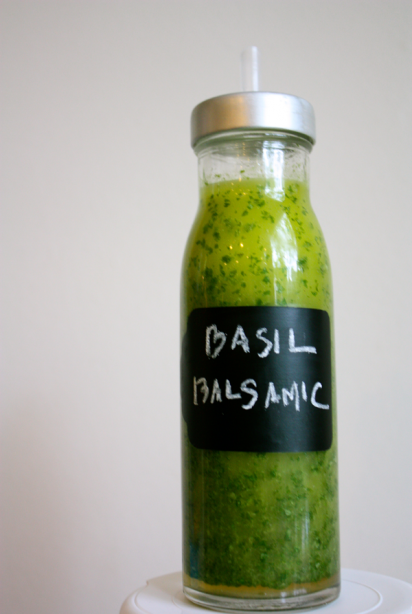 The Basil Balsamic Vinaigrette has been the favorite of the season…and it’s crazy easy. I started using chalkboard contact paper throughout my pantry a few months ago and I love the flexibility. UPDATE: You can buy chalkboard contact paper here. and I’ve posted more info about it here.